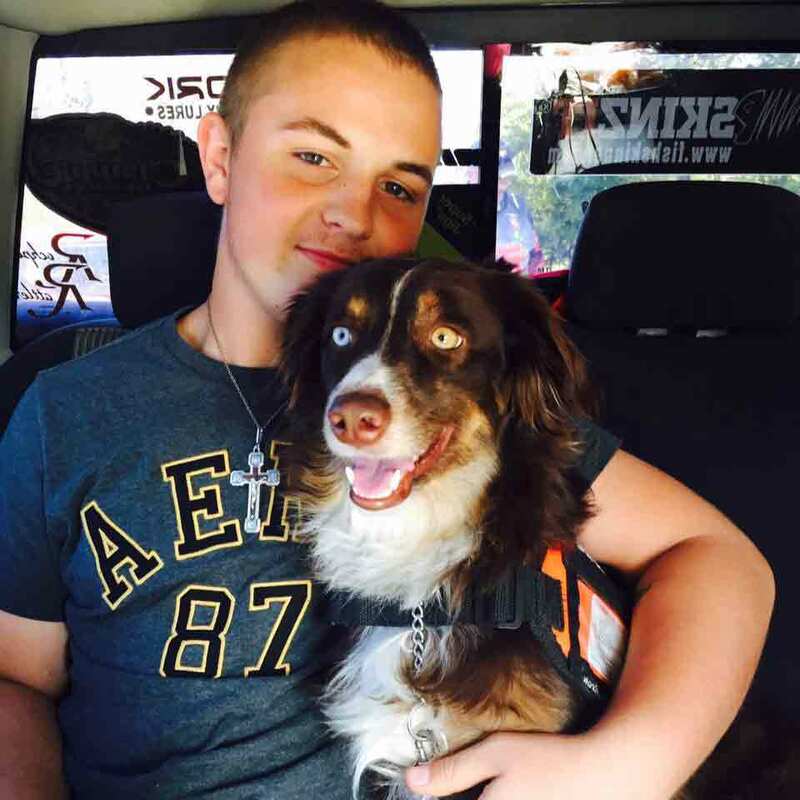 This is Tyler McCready and his faithful pup, Sinatra. Their friendship has been literally been life saving. Tyler, who lives in Arkansas, has type-1 diabetes, which means he has to monitor his blood sugar levels frequently, but even then it's not always easy to know if a problem is coming on. One day a few years back, Tyler began slipping into a coma because his levels were off, and his family knew he needed more of a helping hand to stay healthy. 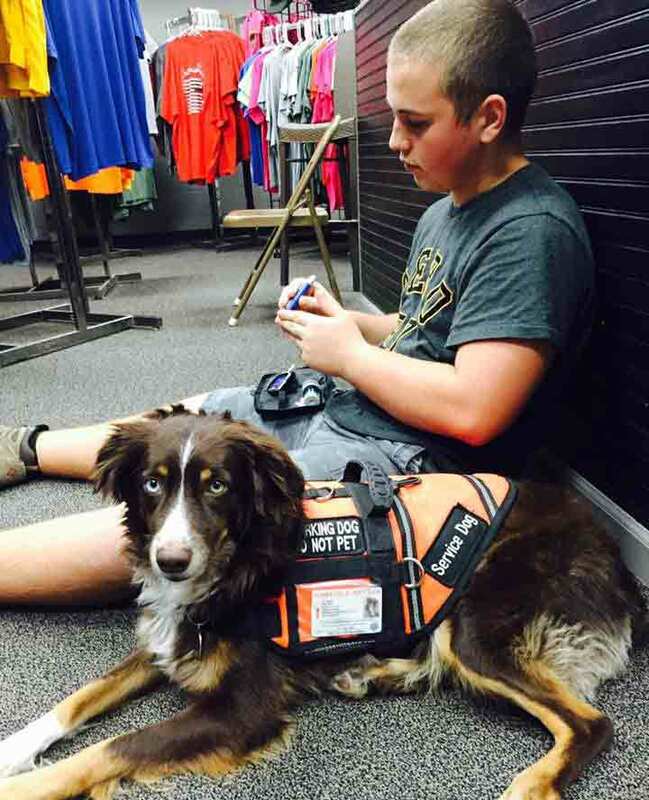 That's when he was paired with Sinatra — a service dog specially trained at detecting dangerous changes in Tyler's blood levels. "Sinatra lets me know when my sugar is spiking or dropping," Tyler told The Dodo. "He has saved my life thousands of times." 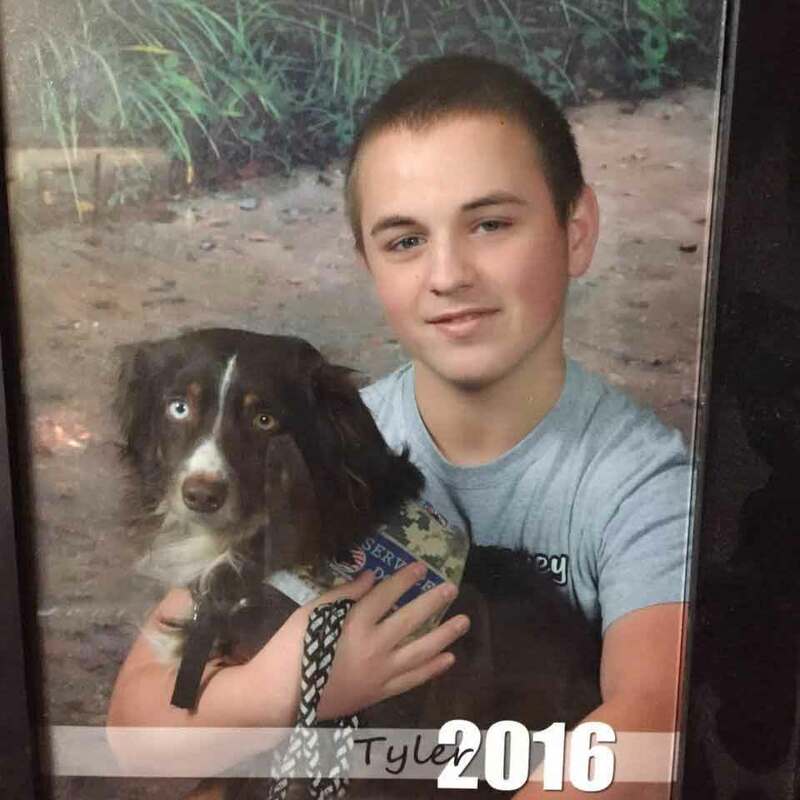 The dog has kept Tyler alive in other ways as well. Before Sinatra came along, Tyler struggled with depression arising from his health problems, and from feeling like an outcast among his peers in school. At his lowest point, he even considered suicide. "As the years passed it started to wear on me. I started getting less and less positive," Tyler said. "But then Sinatra came and saved me from all that. He's the only friend I really need." Given Sinatra's crucial role in making sure Tyler stays healthy, both mentally and physically, the two of them are inseparable. 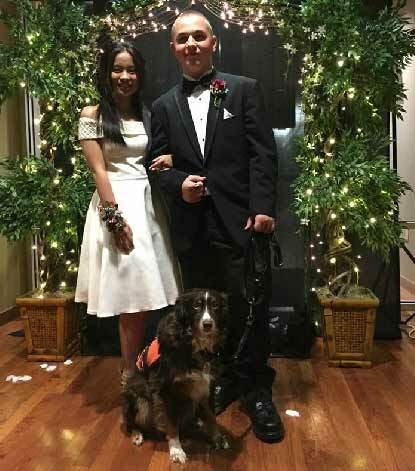 In fact, the dog has been by Tyler's side for every class since the two got together when he was in the 10th grade. Not surprisingly, Sinatra and Tyler became popular figures on campus through high school — and even earned the dog a place the yearbooks. But the biggest honor of their sweet partnership came just recently. 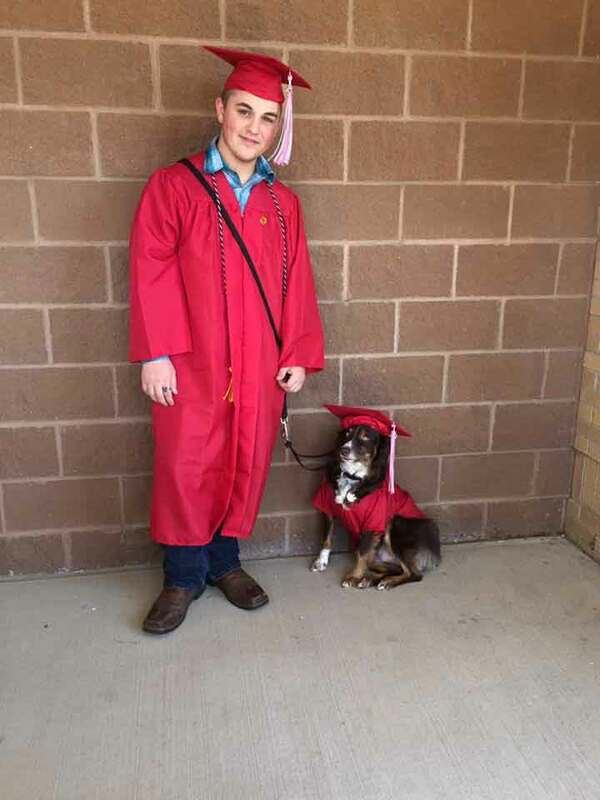 Over the weekend, Tyler officially graduated high school — and, in a way, Sinatra did too. 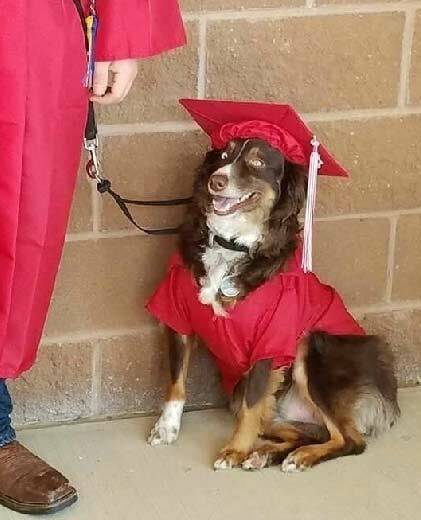 The dog was even given a cap and gown to wear, for good measure. 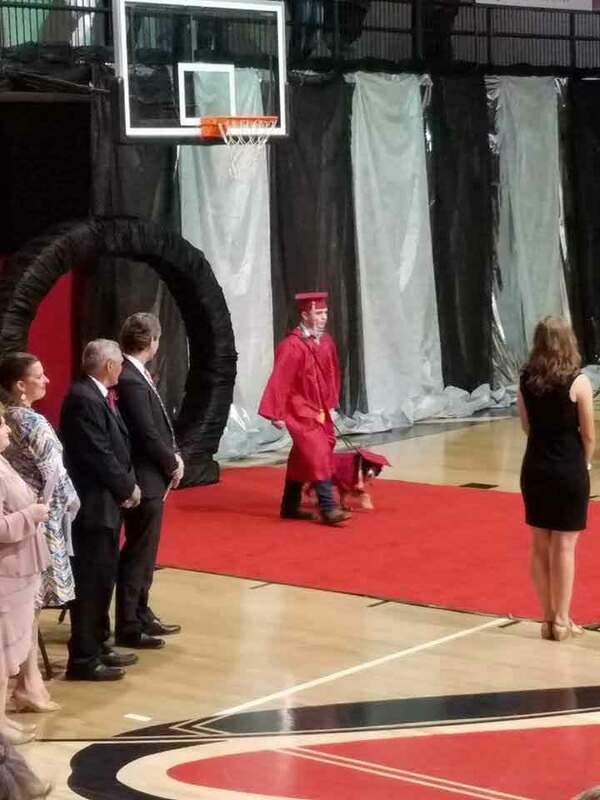 Of course, as Tyler's name was a called to collect his diploma during the graduation ceremony, Sinatra was by his side then, as always. "It was awesome," said Tyler. "I got the loudest applause out of everyone, which I wasn't expecting. I wasn't very popular until Sinatra came along." No doubt, a good portion of that applause was the audience thanking Sinatra for saving Tyler's life every day. The future now is wide open for Tyler, who hopes his story will help raise awareness about how diabetes impacts people's lives. And though he isn't totally certain what lies ahead, Tyler is comforted to know that Sinatra will be there no matter what. "I just gotta push and push until either God heals me or a cure is released," he said. "Until then, me and Sinatra have a bond no one will understand until they have a friendship like this."